The first step to owning some Bitcoin is to get a Bitcoin wallet. But there are many types to consider. There are online wallets that you access through a website, wallets that you download as apps onto your smartphone or there are hardware wallets that come in small physical devices. What I’ll talk about in this blog are the key differences and advantages of hardware wallets. The two most common hardware wallets are Trezor wallets and Ledgerwallets. One of the ways a hardware wallet differs from an online wallet is that you need the hardware to access your wallet online. This ads an extra layer of security to your wallet and the Bitcoin within it. 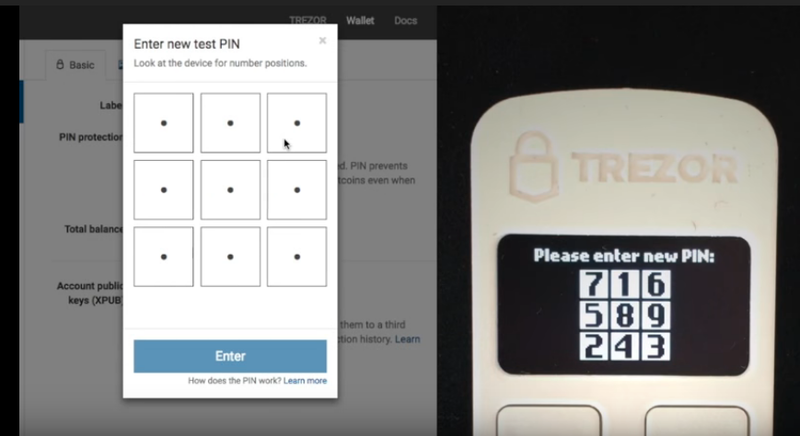 This involves connecting your wallet to your computer via USB and entering in your pin onto the computer via a scrambled format displayed on your hardware wallet. The scrambled pattern is different each time so it is very hard for people to copy your pin. But don’t worry! If you lose the hardware you can still access your Bitcoin via your private key! It never displays your private key online. With a hardware wallet your private key is never stored or displayed online, it is shown on the device itself and stored there in an encrypted format. This means not only is it virtually impossible to hack but also that you could use your hardware wallet to access your Bitcoin on a malware infected computer and your Bitcoin would still be safe. Unlike online wallets, hardware wallets aren’t free. They generally cost at least $250 NZD. At MyBitcoinSaver, as we buy Trezor wallets in bulk so we are able to sell them for $200 NZD. Please head to this page if you are interested in buying a Trezor Wallet. What we recommend at MyBitcoinSaver is to upgrade to a hardware wallet once you have over $250 worth of Bitcoin. That way you can be sure it is extremely safe.